MANILA – President Rodrigo Duterte said Friday he might send a ship to Libya after three Filipinos, along with a South Korean national, were kidnapped by an unidentified armed group. 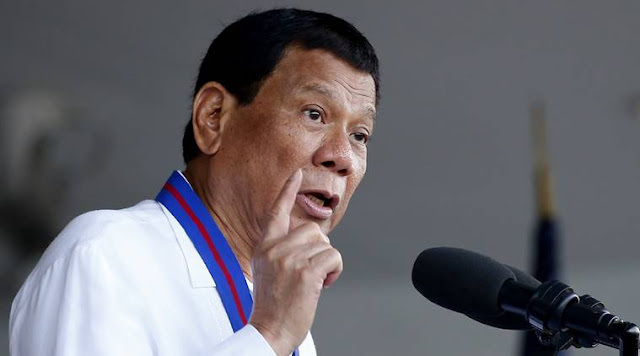 Duterte revealed his plan during the inauguration of the Northern Mindanao Wellness and Rehabilitation Center in Malaybalay, Bukidnon after learning that South Korea has deployed a warship to Libya. “Pag (if) they begin to hurt the Filipinos doon (there), magpadala ako ng frigate (I will send a frigate),” he said in his speech. The President said he will decide after the Cabinet meeting and command conference next week in Malacañang Palace. “I have (a) command conference on Aug. 7 after the Cabinet meeting. I’ll bring it up,” Duterte said. Meanwhile, Presidential Spokesperson Harry Roque announced that efforts involving very high-level government officials are underway to rescue the kidnapped Filipinos. “Are there efforts? Yes and it involves very high level of members of government to rescue our nationals in Libya,” Roque said in a media briefing in Malaybalay, Bukidnon on the sidelines of the inauguration of the rehabilitation center for drug dependents. He, however, said there is no information yet on the status of the rescue efforts. Roque said he and Labor Secretary Silvestre Bello III were supposed to fly to Libya but it was cancelled due to security considerations. “But we took steps to prepare for the trip and it was expressly to rescue the Filipinos kidnapped by bandits in Libya,” he said. According to media reports, the three Filipinos, along with a South Korean national, are being held captive in Libya for 27 days already by an unidentified armed group. The four were reportedly working at a water plant in Jabal Hasouna in south eastern Libya when they were kidnapped by the bandits on July 6. A video clip posted on social media showed the victims asking for help.